A HOVERBOARD (or hover board) is a fictional levitating board used for personal transportation, first described by author M. K. Joseph in 1967 and popularized by the Back to the Future film franchise. 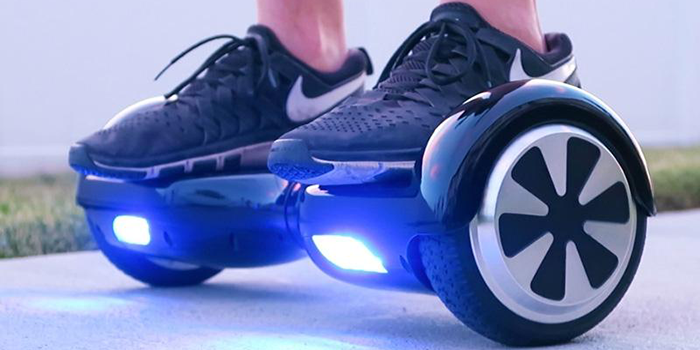 Hoverboards are generally depicted as resembling a skateboard without wheels. During the 1990s there were rumors, fueled by director Robert Zemeckis, that hoverboards were in fact real, but not marketed because they were deemed too dangerous by parents' groups. These rumors have been conclusively debunked. The hoverboard concept has been used by many authors in various forms of media. 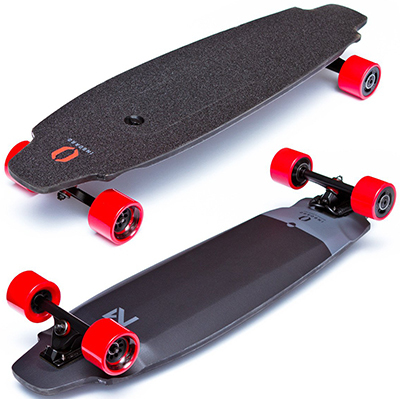 An ELECTRIC SKATEBOARD is a personal transporter based on a skateboard. 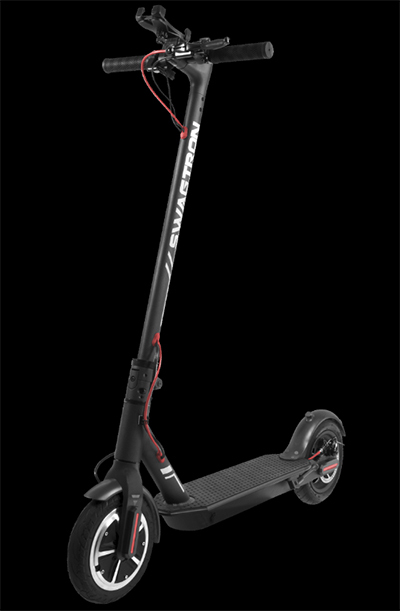 The speed is controlled by a hand-held throttle or weight-shifting and the direction of travel is adjusted by tilting the board to one side or the other. A SELF-BALANCING TWO-WHEELED BOARD or scooter is a portable, rechargeable battery-powered vehicle. It consists of two wheels arranged side-by-side, joined by two small platforms on which the rider stands, and an internal balancing mechanism. 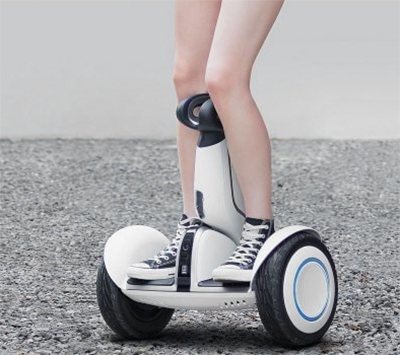 The device is controlled by the rider's feet on built-in gyroscopic, sensored platforms. 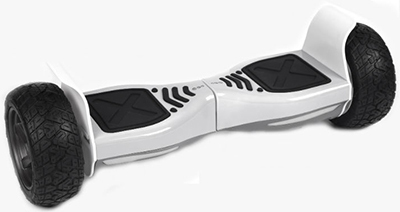 The board first debuted in China, but became popular in the United States after numerous celebrity appearances with the device in 2015. There is no universally accepted name for the device, as its various product names are attributable to the companies which distribute it, not its Chinese manufacturers. The board is a Chinese invention but the fast pace of the Chinese manufacturing industry makes it difficult to pinpoint which company was the first to manufacture the device. According to Wired's David Pierce, the device was likely invented as the "Smart S1" by Chic Robotics, a Chinese technology company associated with Zhejiang University, founded in 2013. The company released the Smart S1, in August 2014, and the device was a huge success at the 2014 Canton Fair trade show. Chic Robotic patented technologies associated with the board, but due to China's lax patent enforcement, the product was illicitly copied by several Chinese manufacturers. As of June 2015, the board is made by about five copycat manufacturers in China – a pattern common in the country's technology and industrial sector. The copies vary greatly in price and quality, and may exhibit various defects. Some newer boards have incorporated Bluetooth speakers, allowing the driver to play music from speakers underneath the board. The founders of PhunkeeTree first encountered the board at the Hong Kong Electronics Show, in 2014. The company gave one board to Kendall Jenner, who posted a video of her riding the board on Instagram. The video became a viral hit on social media, which led to other celebrities asking PhunkeeTree for free samples. The device's increasing popularity in Western countries has been attributed, in part, to celebrities being recorded riding, performing on or amusingly falling off it. These include the entertainment figures Justin Bieber, Jamie Foxx, Kendall Jenner, Chris Brown, Soulja Boy and Wiz Khalifa among others. Computers, sensors, and electric motors in the base of the Segway PT keep the device upright when powered on with balancing enabled. The rider commands the PT to go forward or backward by shifting their weight forward or backward on the platform. The PT uses gyroscopic sensors and accelerometer-based leveling sensors to detect the resulting changes in its pitch angle and, to maintain balance, it drives its wheels forward or backward as needed to return its pitch to upright. In the process, the rider establishes and then maintains a desired speed by modulating the extent and duration of their fore/aft weight shifts. To turn and steer, the rider shifts the handlebar to the left or right. The PT responds by adjusting the speeds of the wheels in opposite directions causing the PT to yaw and, if not traveling forward or backward, turn in place. At speed, the amount of shift of the handlebar corresponds to the amount of left or right lean required by the rider to balance themselves on the platform during a turn. 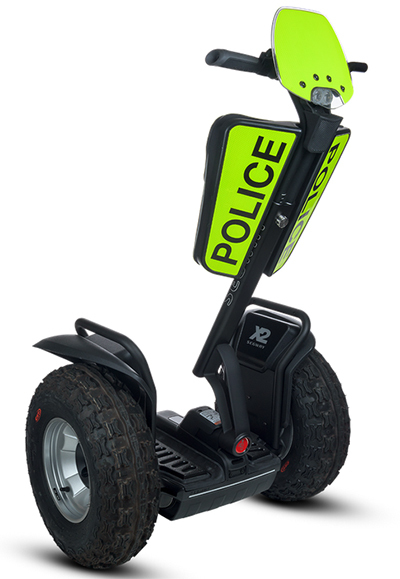 Segway PTs can reach a speed of 12.5 miles per hour (20.1 km/h). 7 MOST COMMON SPORTS INJURIES [INFOGRAPHIC] - Skateboard-Guide.com. Are Electric Scooters the Future? How Do They Actually Work? - IQS Directory. Best hoverboards of 2018 - Tech Advisor. Best Electric Hoverboard 2018 - "Self Balancing Scooter Buying Guide – Best Hoverboard on the Market." BEST ELECTRIC SKATEBOARDs of 2018 - "It’s Boosted vs. the world." BOOSTED BOARD STEALTH REVIEW: SPEED RACER - The Verge. Google Maps can find you Lime scooters in more than 80 cities - "You’ll be able to scoot or bike to your final destination." 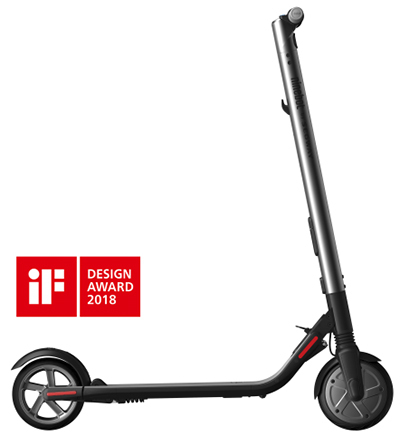 How Bird plans to spread its electric scooters all over the world - "For better or worse, scooters are now a global business." Lime's Gen 3 scooter is built to survive rider abuse - "It touts a more durable design and a longer-ranged battery." 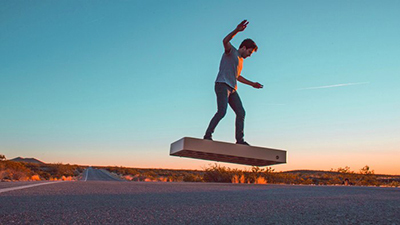 Mark Cuban's hoverboard will hit Kickstarter in April - The Verge. 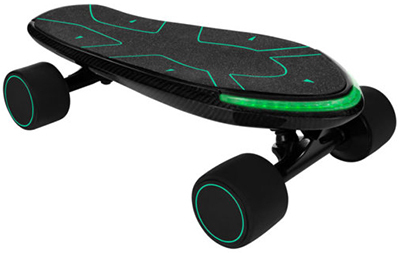 MELLOW MAKES ALMOST ANY SKATEBOARD ELECTRIC The Verge. More than 500,000 hoverboards are being recalled - The Verge. 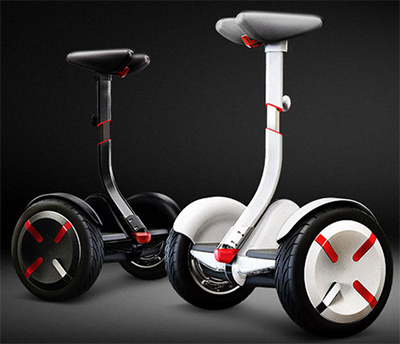 Segway's new e-skates are probably a terrible idea - engadget. Skateboarding - action sport which involves riding and performing tricks using a skateboard, as well as a recreational activity, an art form, a entertainment industry job, and a method of transportation. The rise of the skateboard - "How photographers have captured skateboarding through generations." Uber may acquire Bird or Lime to accelerate its scooter plans - "It doesn't believe that buying Jump was enough to foster its efforts." Unagi's high-end electric scooter is a mix of design & power - "But is it enough to get over your 'scooter shame'?" 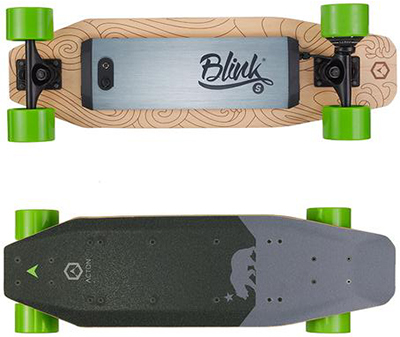 Acton Blink S - "Disconnect from the virtual world with 7 miles of uninterrupted freedom." 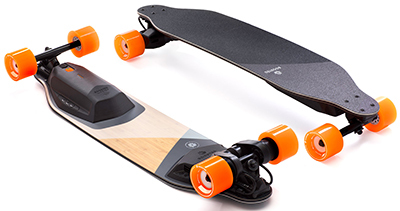 Boosted Boards - "The Next Generation of Boosted Boards." Boosted is on a mission to make cities feel smaller, campuses more accessible, and commutes enjoyable. 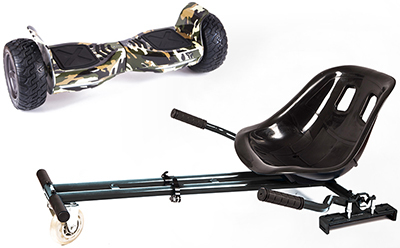 Our boards are designed and built to handle the rigors of daily use while offering an exhilarating ride with unparalleled power and control. Whether you are an experienced rider or a complete newbie, learning to ride a Boosted board is simple, intuitive, and just straight-up fun. Inboard Technology - since 2015. "Inboard Technology is changing last mile transportation, starting with the Inboard M1 electric skateboard." 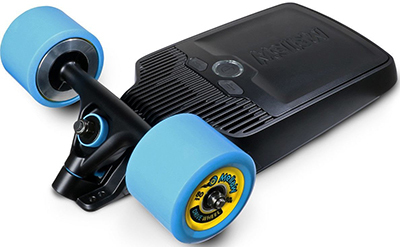 Mellow Drive - "The Mellow Drive 2018 comes with everything you need to convert an existing skateboard or longboard into an electric skateboard. Simply remove your back truck and replace it with the Mellow Drive." Swagtron - since 2015. "#RideBeyond." Kid Friendly Electric Skateboards. Bluefin - since 2013. "The 6.5? 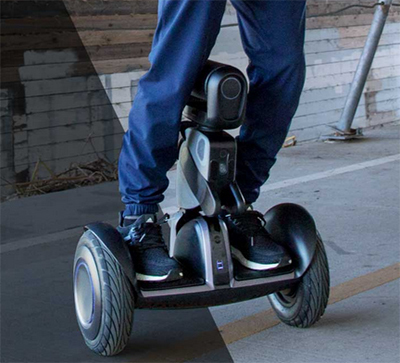 Classic is the most popular model in the Bluefin Swegway range. It is the ultimate all-round board available on the market and suitable for all ages, from 8 years old through to adults." 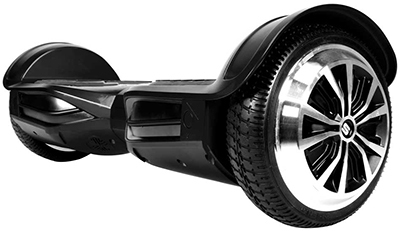 Hoverboard - "The only UK company to provide UL certified Hoverboards. Designed with Samsung or LG batteries." All models. Onewheel - since 2013. "Motorized Euphoria." Razor Hovertrax 2.0 - "Nirvana on wheels." Smart Hoverboards - "As a professional & stable hoverboard manufacturer and supplier, the hoverboards that we sell are of a solid construction, made with high quality components and use a stable UL Certified Samsung battery, All of which ensure you get the best quality hoverboard for a competitive price. 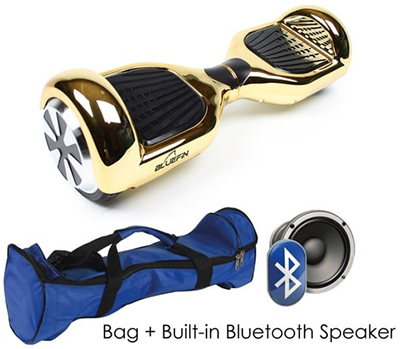 All hoverboards come with Remote or App, Bluetooth, Speakers and Bag." Swagtron - since 2015. "#RideBeyond." Hoverboards, Scooters & Skateboards. 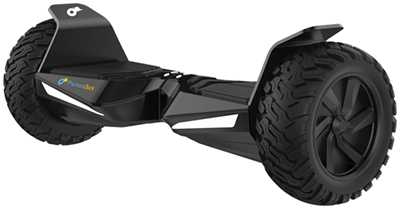 Swegway-Pro - "The Original Swegway Hoverboard Shop." Ninebot - "Fancy a Smarter Commute? Choose Ninebot." 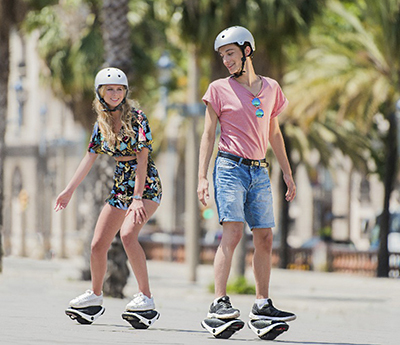 Ninebot is the leader in the 21st Century’s new hype of Personal Transportation. It’s battery-powered emission-free engine combined with the latest Bluetooth connection technology makes you feel connected in every way. A fusion of sophisticated software and several highly mechanical components, Ninebot boasts a simple, intuitive riding experience! Swagtron - since 2015. "#RideBeyond." Electric Scooters. 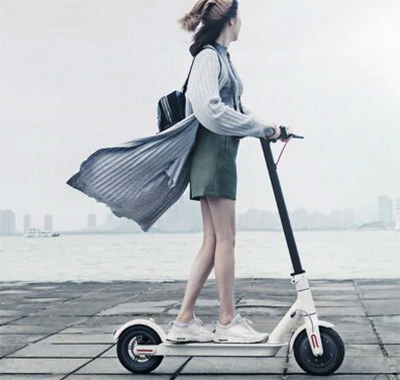 Xiaomi M365 Folding Electric Scooter - E-ABS Technology / Kinetic Energy Recovery System / Cruise Control Function / Intelligent BMS. Xiaomi N4M340 Ninebot Plus Electric Self Balancing Scooter - 11-inch with Wear-resistant Dual Wheels. SEGWAY - since 2001. "Personal Transportation That Simply Moves You". 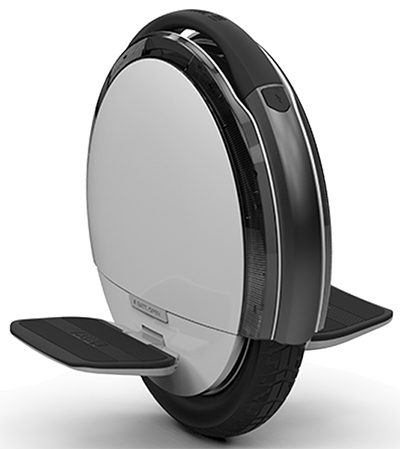 Ninebot by Segway - "Incomparable performance." SEGWAY Consumer models - "Fun and Fashionable"
SEGWAY Drift W1 - "The Segway Drift W1 e-Skates are lightweight, portable and extremely unique. Designed for maximum comfort and fun the Drift W1 is the perfect product to usher in a new type of personal transportation." 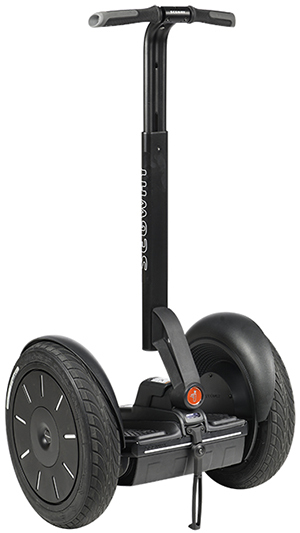 SEGWAY Professional models - "Be More Productive Than Ever - Indoors and Out." 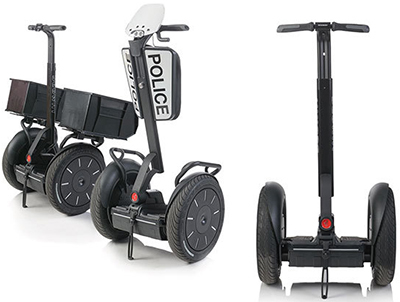 SEGWAY Public Safety models - "Designed For Smarter Patrolling." SEGWAY Robotics models - "Advanced Robotic, Simplified." Commercial & Consumer Robotics.